Written at a time of social unrest in Victorian Britain and set in London at the time of the anti-Catholic Gordon Riots, Dickens's brooding novel of mayhem and murder in the eighteenth century explores the relationship between repression and liberation in private and public life. 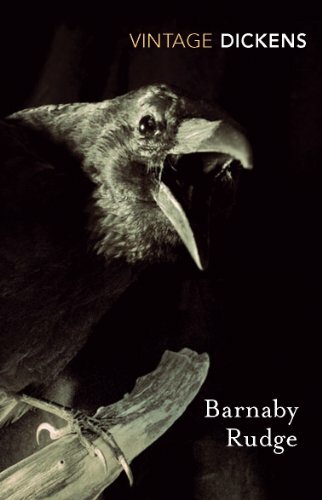 Barnaby Rudge tells a story of individuals caught up in the mindless violence of the mob. Lord George Gordon's dangerous appeal to old religious prejudices is interwoven with the murder mystery surrounding the father of the simple-minded Barnaby. The discovery of the murderer and his involvement in the riots put Barnaby's life in jeopardy. Culminating in the terrifying destruction of Newgate prison by the rampaging hordes, the brilliant descriptions of the riots are among Dickens's most powerful. Barnaby Rudge looks forward to the dark complexities of Dickens's later novels, whose characters also seek refuge from a chaotic and unstable world. This edition includes all the original illustrations, plus an illuminating Introduction and notes.